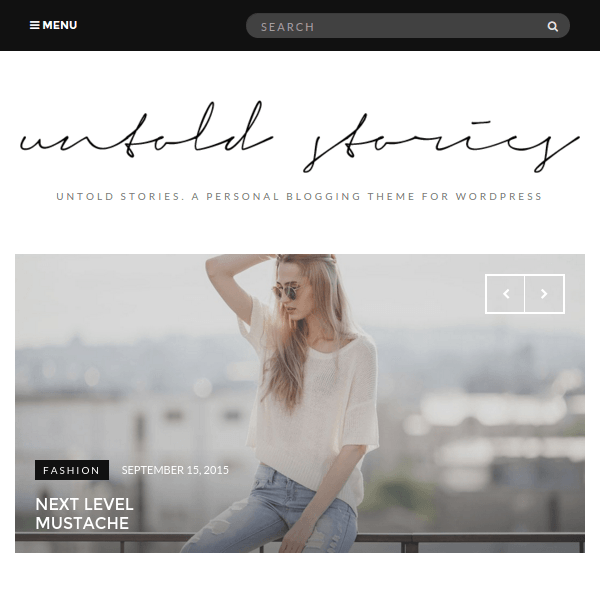 Untold Stories is an elegant and creative WordPress Theme that is designed specially for creating blogging website. It provides with a modern layout design that is best suitable when you are planning to start with the personal blogging site. It provides with multiple unique features for the themes and also it can be customized as per the requirements. Provides with different color options and settings to have a control over it. This theme allows to create the forms and place it anywhere on the panel and also compatible with Gravity forms. It is a fully responsive theme and works great on all the devices and is translation ready. It provides with .mo and .po files and is translation ready. As social media plays a very important role for any of the website so it provides with a deep social media integration. Provides with different color options to be applied on different sections and elements to give different look and feel to the site. 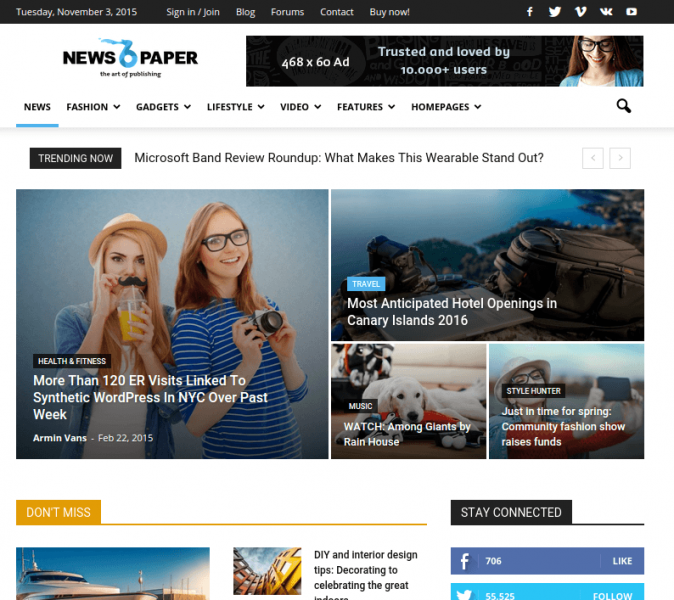 This theme is well tested and works great on the latest version of WordPress. This theme is an very nice which is useful like story telling website and blogging website. It comes with many unique features. It provides with different color options and settings to have a control over it. Nice theme for Blogging …! A WordPress beautiful theme for fashion and lifestyle Blogging.